[0:15] <Heyo14> If I want to activate a device, a solenoid, by multiple methods, how do I do it? [0:15] <Heyo14> I am doing face recognition but I also want keypad option. [0:16] <Heyo14> Something like an 'OR' switch? [0:18] <shiftplusone> since you'll need to attach the keypad to the pi anyway, you can do it all in software. [0:18] <Heyo14> How would I do it..? [0:18] <dRbiG> Heyo14: first let us make it clear, the umber in your nick has nothing to do with your age? [0:18] <Heyo14> Yes it does..
[0:18] <Heyo14> I thought rPi was for all ages. [0:20] <Heyo14> Model A or B? [0:21] <dRbiG> Heyo14: 1) first thing: ' activate a device, a solenoid, by multiple methods' is like: activate it anyway's working! [0:22] <Heyo14> Well, I want to make sure the project is doable before I buy parts. [0:23] <Heyo14> And I can't just touch wires.. it would be on the inside. [0:24] <Heyo14> A keypad failsafe would be to ensure I can get in in case of a failure in face recognition. [0:27] <Heyo14> I'm just saying, I can always manually control GPIO from the terminal? [0:28] <Heyo14> So in the case of a lock-out, I can SSH in. [0:29] <dRbiG> Heyo14: does it have digital input? [0:29] <Heyo14> It has two wires. [0:30] <dRbiG> 1a as in 1 ampere? [0:31] <Heyo14> But my problem is that it's not a component. [0:31] <Heyo14> It activates purely on the application of power. [0:38] <Heyo14> Why? I use a monitor. [0:39] <Heyo14> So how does this lock the door? [0:48] <dRbiG> nobody else here? [1:08] <dRbiG> Vektor: do you even care? [1:10] <thomasreggi> Anyone know where I can get my hands on a split-flap display? [1:13] <pksato> thomasreggi: this type http://en.wikipedia.org/wiki/Split-flap_display ? No idea... On junkyard? [1:35] <thomasreggi> shiftplusone: Can't find any! [1:37] <shiftplusone> might have to go to an airport or a train station and do some... maintenance. [4:20] <foxtrotniner> doesn't a usb 2.0 port supply only 500mA of current? [4:22] <[Saint]> you will *absolutely* need a powered hub for this. [4:22] <[Saint]> No way around it. [4:23] <[Saint]> assuming you're feeding the pi its max input current, you can afford about 900mA of draw total. [4:23] <shiftplusone> foxtrotniner, to answer the question you asked, the cable is split for two ports, so you get 1000 mA in total (according to the specs). However, nobody follows the specs to the letter. Most modern USB ports will happily give an amp anyway. Keep in mind that the raspberry pi is not such a device. [4:24] <[Saint]> Yeah, USB ports that follow spec are like unicorns. [4:24] <[Saint]> I have one device in my house that conforms to spec. [4:24] <[Saint]> And the system would fall over. [4:25] <[Saint]> You'd likely brown out as soon as it tried to spin up. [4:25] <shiftplusone> foxtrotniner, in practice, it may supply it, it may shut the port down, or it may try its best and fail. [4:26] <shiftplusone> In case nobody has mentioned it yet, get a powered hub. [4:27] <shiftplusone> foxtrotniner, why is that amazing? [4:28] <[Saint]> I...gah. Yep. Ok.
[4:30] <foxtrotniner> can anyone recommend a powered hub? [4:33] <shiftplusone> Ah, USB specs seem to be available without having to pay silly amounts. [4:33] <[Saint]> what the nuts apt? [4:34] <[Saint]> "can't install foo; foo relies on package foo"
[4:42] <[Saint]> Well...heck. I wasn't expecting that to work so easily. [4:43] <[Saint]> BF2 in Wine on Ubuntu, passed through the etherwaveynets to a raspi and on to my television. [4:47] <shiftplusone> Hm, apparently normal usb devices (<100mA) have to work properly on 4.4V (minimum), or on 4.75V when in high-power mode (500mA). [4:49] <[Saint]> with the way its implemented across the board, it really is a bloody miracle that you can plug in so many USB devices and have them "just work". [4:49] <[Saint]> Though, there are indeed outliers. [4:50] <shiftplusone> oh, that's on gnd... I don't even know how that works, nvrm. [4:50] <[Saint]> ...and his caps key. [4:51] <shiftplusone> Hell, hubs are allowed to drop 350mV from their power input to the USB ports. [4:58] <shiftplusone> Hm, we tend to say that 500mA is the spec, like anything that draws more is out of spec. To be fair, 500mA is the minimum a high power port should provide. [4:59] <shiftplusone> and in any case, the device should ask before drawing anything over 100mA. [5:01] <[Saint]> and, technically, a port shouldn;t supply any more than 100mA to anything that doesn't enumerate. [5:01] <[Saint]> so...there's that, too. [7:11] <blockh34d> seen that wiki page? [7:17] <shiftplusone> making fun of creationists is about as fun as picking a fight with a toddler. It saddens me more than anything now. 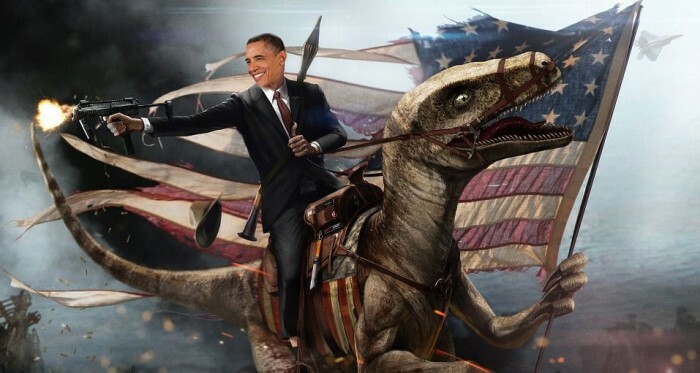 [7:17] <RaptorJesus> have you seen the Obama on a raptor pic? [7:18] <[Saint]> I was always taught that it was rude to make fun of the mentally ill. So I leave the religious alone. [7:19] <blockh34d> to each their own. [7:21] <shiftplusone> I don't think falling into the trap of lumping all religious people into the same category is smart either. You have the westboro types, the creationists, the pro-life, anti-equality and all kinds of crazies, but you also have brilliant geniuses and normal people who believe in God, they just keep it to themselves usually. [7:21] <blockh34d> yah it can still give you a virus. [7:22] <shiftplusone> but, yeah religion and politics is not something this channel gets into. [7:23] <blockh34d> i guess indiecity is splitting rpistore off as seperate thing and my app submission got misfiled? [7:24] <shiftplusone> RaptorJesus, family friendly channel. [7:25] * shiftplusone isn't sure how to read the headline "NYC boy 'shot dead bus bystander'"
[7:26] <blockh34d> a bus died?!? [7:26] <blockh34d> is it a pirate who became a ghost or a ghost who also pirates? [7:27] <shiftplusone> oh, they changed it by the time I opened the link "Boy, 14, charged with shooting dead bystander on New York City bus"
[7:27] <blockh34d> why does that even make the news? [7:28] <Nexuist> "charged with shooting dead bystander"
[7:28] <shiftplusone> yeah, go figure. [7:28] <shiftplusone> at least it's better than dead bus bystander. [7:29] <shiftplusone> who was probably sitting, anyway. [7:29] <Nexuist> they care more about the boy who shot the dead guy and not about how the dead guy died? [7:29] <RaptorJesus> Free thought and critical thinking lead to provable answers. Practice common etiquette, while not wallowing in fear of the unknown. Stop thinking with your feelings. [7:32] <RaptorJesus> I'd really like to meet these challengers. [7:32] <blockh34d> why does it have to be a conflict? [7:34] * [Saint] parses that news headline as someone shooting someone else who was already dead. [7:34] <shiftplusone> blockh34d, debates are good for those on the fence or as introduction to the differing points of view. They are not intended to convert the opponent or to convince the convinced. [7:36] <blockh34d> at the case or the jack? [7:36] <blockh34d> you of course know of the differnce between mini and micro usb or whatever the two very small usb hookups are? [7:37] <AbbyTheRat> I wonder if the jack is a mini? [7:37] <AbbyTheRat> mini is bigger? [7:38] <blockh34d> do you have a powered hub? [7:39] <blockh34d> can pi power through lan jack? [7:40] <AbbyTheRat> don't think so..
[7:41] <shiftplusone> well, there is PoE, but the pi doesn't support it. [7:43] <shiftplusone> AbbyTheRat, can you read lips by the way? [7:44] <shiftplusone> Oh yeah, what am I saying? [7:46] <shiftplusone> AbbyTheRat, you don't have a few more cables to try? [7:47] <shiftplusone> Bah, so much JunkScript on that page. [7:50] <blockh34d> copyright it and we'll get you some royalties. [7:51] <blockh34d> heard of a 'cottonmouth'? [7:53] <shiftplusone> nuh, I like 'rich web applications', but only when it's appropriate. [7:56] <shiftplusone> blockh34d, I think we're kind of at the limit of our life expectancies anyway. [7:57] <blockh34d> no way we haven't even scratched teh surface! [7:57] <shiftplusone> We're not mole rats. [7:59] <shiftplusone> we don't really enforce the topic here unless it drowns out pi related questions. [7:59] <shiftplusone> or if it goes into the religion/politics/drugs area. [7:59] <AbbyTheRat> do you pull it, use weedkiller or some natural method? [8:01] <shiftplusone> blockh34d, as far as life expectancy goes. Even without cancer, without diseases or any kind, people don't live long after 100. When life expectancy increases, the maximum life span of humans stays about the same. [8:02] * shiftplusone grumbles and goes to sleep. [8:03] <blockh34d> maybe you could power it straight off the gpio's? [8:03] <shiftplusone> blockh34d, Powering through GPIO is almost the same as backfeeding. [8:04] <AbbyTheRat> "almost but not quite"
[8:05] <blockh34d> speaking of, ever seen primer? [8:07] <blockh34d> whats that game about? [8:08] <blockh34d> hey anyone tried that one game in pistore umm looks like freelancer? [8:08] <blockh34d> ever tried freelancer? [8:10] <[Saint]> Its the real-world money that makes it an issue, IMO. [8:11] <[Saint]> it can be, sure. but then its monotonous. [8:14] <AbbyTheRat> which is worse cause it's DA WEEKEND! [12:05] -tomaw- [Server Notice] This server will be momentarily offline over the weekend. Please reconnect to chat.freenode.net to ensure continuity of service. Thanks! [13:03] <[SLB]> you mean to call the script? [13:04] <[SLB]> actually, i think it always gives false, hm..
[13:28] <blockh34d> mind explaining about the full blown user path vs (other option)? [14:34] <ectospasm> good on you! [14:45] <_ynk> hello, I'm planning to buy a rasbpi model B, and I have a question about it. I noticed it does not have internal memory (not ram, storage memory). so where is the operating system installed to? [14:47] <ClarusCogitatio> Hey guys, the RPi was release quite a while ago... is there an expected spec bump or a new release going to be anytime? [14:48] <ClarusCogitatio> i see, thanks. [14:48] <ClarusCogitatio> does anyone know a channel for parallel/similiar boards to the pi? [14:48] <CDR`> ClarusCogitatio have you tried /list and seeing what pops up? [15:01] -NickServ- This nickname is registered. Please choose a different nickname, or identify via /msg NickServ identify <password>. [15:01] -NickServ- You have 30 seconds to identify to your nickname before it is changed. [15:01] -NickServ- You are now identified for DataBot. [15:01] -MemoServ- You have 2 new memos. [17:42] -NickServ- This nickname is registered. Please choose a different nickname, or identify via /msg NickServ identify <password>. [17:42] -NickServ- You have 30 seconds to identify to your nickname before it is changed. [17:42] -NickServ- You are now identified for DataBot. [17:42] -MemoServ- You have 2 new memos. [17:49] <pksato> K-77: for quick search, is possible, need to port kernel module and connect to rpi GPIO. [17:51] <chunkyhead> can anyone help me with the memory problem im facing..
[17:52] <[SLB]> chunkyhead, do you have raspi-config? [17:53] <pksato> K-77: two hours. [17:54] <[SLB]> you can resize the partition of he sd on another machine? [17:57] <[SLB]> i don't quite get the size there of the partitions, so they sum up to 8gb? [17:58] <chunkyhead> what's the use of extended partition? [18:01] <pksato> but, is easy, use standar fdisk or other, delete partition 5, and recreate using same start point, and full size end point. write/quit and run resize2fs. [18:02] <pksato> oh... yes. p2 need to resize too. [18:05] <pksato> same original start point. [18:05] <chunkyhead> pksato: i cant delete p5 because thats where my root is right? [18:06] <pksato> at moment, you not deleting any. just making a new partition table. [18:07] <pksato> if make mistake, just quit without writing. [18:07] <chunkyhead> pksato: make new partition table, with same p1 p2 p5? [18:07] <chunkyhead> starting and ending points? [18:20] <chunkyhead> any other ideas to fix it now? [18:22] <ShorTie> you didn't remake partition 5 did you ?? [18:23] <chunkyhead> the guide said dont? [18:24] <chunkyhead> can i make 2 paritions starting from the same block? [18:26] <chunkyhead> why cant i just create p2 from 188416? [18:32] <[SLB]> i think if you have gparted on the second machine that would be easier, but what's the problem now, still showing 1.7gb? [18:36] <pksato> df -h show that? [18:36] <[SLB]> it looks good to me? [18:37] <pksato> after partition edit, need to tell to kernel reread table. [18:39] <chunkyhead> since i havent made any user on rpi, it is just root. where wil all the config files be stored? [18:43] <chunkyhead> anywhere else the defaults will be stored? [18:44] <[SLB]> same name there too? [18:46] <chunkyhead> do i need to restart bash after i make changes in .bashrc? [18:54] <limitz-ARSNL> does anyone have experience connecting two, mcp23017 to the raspberry pi? [18:58] <chunkyhead> it's difficult to remove unecessary stuff, what's important for you might not be for someone else. and vice-versa. [18:59] <chunkyhead> lvispy: it's easy if you identify what packages you dont want. [20:15] <linguini> I just discovered that my raspbian system has a ton of illegal blocks on its file system. [20:16] <linguini> I discovered this after 'apt-get install' failed saying an inode had an illegal value. [20:17] <linguini> I'm running fsck, and it reports a *lot* of problems. E.g. Illegal block #315343 (2147483648) in inode 7. IGNORED. . . .
[20:17] <SuperLag> Do any of you use your Pi as a NAS? is that possible/practical? [20:19] <linguini> SuperLag: I have some git repositories on mine. [20:19] <linguini> But note, I just discovered a file system corruption problem. [20:21] <linguini> SuperLag: Did you fix them? [20:22] <linguini> That is, was the corruption fixable for you? [20:22] <linguini> I haven't turned off my pi intentionally, but the power has gone out once. [20:22] <SuperLag> I have my pi connected to a UPS. [20:23] <SuperLag> I just pulled the plug when I was moving it around. [21:04] <woooden> is there a way to force it to try a different mirror? or even just try a different mirror if the first mirror fails? [21:04] <shiftplusone> So.... walking distance then. Go and kick their admin. [21:05] <shiftplusone> could leave an angry note at their footstep. Or just use a different mirror anyway. [21:06] <linguini> woooden: FYI: I have the same problem. [21:07] <shiftplusone> are you able to just wget packages? [21:07] <shiftplusone> I mean specifically from their mirror. [21:12] <woooden> Connecting to mirrors.cat.pdx.edu (mirrors.cat.pdx.edu)|131.252.208.29|:80... failed: Connection timed out. [21:12] <woooden> Connecting to mirrors.cat.pdx.edu (mirrors.cat.pdx.edu)|2610:10:20:208::29|:80... failed: Address family not supported by protocol. [21:12] <SuperLag> woooden: hooray for PDX. I'm a Portlander too. Suburbs, though. [21:13] <SuperLag> I use Ubuntu and Arch. No issues there. [21:13] <SuperLag> And OSU for as many mirrors as I can. [21:14] <SuperLag> woooden: totally. I'd do that, yesterday. Especially, being in the program. [21:15] <SuperLag> woooden: I was looking at the MS CS program, but it assumes you have an undergrad CS degree... and I studied business. [21:16] <woooden> do they not allow you to prove your worth in other ways? [21:28] <woooden> sent them another email with some error logs… maybe they’ll read it this time. [21:40] <ectospasm> AbbyTheRat: no dogs I trust? [21:46] <AbbyTheRat> Raynerd: I've been thinking about your issue, you have access to the coding right? [21:48] <Raynerd> I should only ask one q at a time...BUT,, the other issue is that you can multiply select a square - as in, you can select it, then select it again. I need to lock out the square once it has been selected. [21:49] <AbbyTheRat> understand me, Raynerd? [21:50] <Raynerd> AbbyTheRat - yes, I understand you concept... just not sure how to code... I`ll have to have a think but you have given me the answe! [21:53] <Raynerd> But... if they moved TWO spaces up from the last move, only one value would have changed but it`d be a false move! [21:54] <AbbyTheRat> as for locking the square.. set a boolean as "firstSelected" then ignore any more clicks after that until the move is done? [21:54] <AbbyTheRat> does that work, Raynerd? [21:57] <blockh34d> ever use codepad.org to post code? [22:00] <blockh34d> otherwise they could ask questions and who knows? [22:00] <AbbyTheRat> why did him being black was important to know? [22:00] <Raynerd> please bear in mind I`m a Chemistry teacher - I`m making no pretence to anyone I teach computing or coding!!! [22:01] <AbbyTheRat> so an american saying something in a British voice is racist? [22:01] <Raynerd> Why is describe him as black irrelevant? [22:03] <Raynerd> So we should ignore ones race? [22:04] <AbbyTheRat> what social commentary? [22:04] <Raynerd> python and raspberry pi no less! [22:05] <AbbyTheRat> Raynerd, did you understand my answer about stopping a person from selecting many blocks? [22:05] <Raynerd> no, admittedly I didn`t. But I did get your concept of moving in only one direction! [22:05] <Raynerd> so I think with a little struggle and effort I can do that. [22:06] <AbbyTheRat> you know what a boolean is? [22:09] <Raynerd> admittedly, the bit I`m struggling with is the grid formation as I took the code for that off the net! [22:10] <Raynerd> acually... let me give that a go! [22:13] <AbbyTheRat> and 2 is selected colour? [22:14] <Raynerd> no - 1 is red and 2 is green. [22:14] <AbbyTheRat> or are you talkig about something else? [22:23] <AbbyTheRat> I say under "if playerTurn == 1"
[22:24] <AbbyTheRat> under "elif event.type == pygame.MOUSEBUTTONDOWN:"
[22:24] <Raynerd> It didnt like what I just did! Won`t allow me to make any move! [22:25] <AbbyTheRat> each move is invalid? [22:27] <rikkib> Raynerd, Did you get the instruction I sent from paypal? [22:28] <rikkib> Just add the currency (NZD) and it should go through. [22:29] <AbbyTheRat> bingo, so what's wrong with the statement? [22:30] <AbbyTheRat> want me to read out the if statement out in english so you can see the problem? [22:30] <rikkib> Raynerd, Do you have anything to measure wind direction. I am working on a home made one using a electronic compass, mc9s08 and nRF24. [22:32] <Raynerd> but I`m keen to know why if == 1 or 2 didnt work! [22:34] <rikkib> Raynerd, Wind direction I am talking about. [22:35] <Raynerd> rikkib - No,i`m not doing direction with the school stations. [22:35] <AbbyTheRat> what would the last part read as? [22:35] <AbbyTheRat> if 2, right? [22:35] <Raynerd> if the grid is equal to 2! [22:36] <rikkib> Raynerd, Once I get something going I will let you know. [22:36] <Raynerd> please... that would be good! [22:37] <AbbyTheRat> it's ok! A lot of us made mistakes like that! [22:38] <AbbyTheRat> you want to count invalid move as a move? [22:39] <AbbyTheRat> or give them another chance to go again? [22:40] <Raynerd> Ooops! I see my error. Typo. [22:43] <AbbyTheRat> so up/down/left/right on any re done blocks? [22:44] <Raynerd> I do like the idea that someone suggested before of adding up the co-ordinates and just check the new co-ord has not increased by more than 1. [22:47] <AbbyTheRat> raspberry pi don't have a hostname to start with? [22:57] <AbbyTheRat> absolute value of what? [22:58] <AbbyTheRat> you're talking about the grid? [22:58] <Raynerd> the outcome of my sum. Let me keep going... think I`m getting there. Or I might be miles away. Who knows! [22:58] <phelix> I am thinking about purchasing one of these. I want it only for setting it up to be an emulator for games. Is this possible to do? [22:59] <phelix> basically what iam trying to figure out before i purchase this is. Once I get it setup and working properly. Can I connect it to a TV where it will only have access to a game controller. And with only the controller could you turn the unit on and get to load up a emulator and play games on it? [23:00] <AbbyTheRat> you want the raspberry pi to register signals from yoru controller? [23:01] <AbbyTheRat> so you're talking about having the controller connected to your raspberry pi? [23:01] <phelix> Well, I basically want it just for a game emulator so I can load a bunch of roms for different games like sega and SNES etc. And if once this was setup could I move it to a TV that only had a game controller and could it go from turning on to playing games with only the controller? [23:02] <phelix> So this thing is basically just a linux computer? No differently than if i had linux installed on a pc? [23:03] <phelix> Is there a single emulator that will play all different types of roms or do you have to run different programs to play different types of games or roms? [23:06] <phelix> sweet.. So I could set that to run on boot and with that program loaded it can all be controlled with a game controller? [23:08] <AbbyTheRat> http://readwrite.com/2014/01/21/raspberry-pi-great-projects#awesm=~ozhjkJgBelgnUu JoeSpanks, based on a quick google on "things to do with raspberry pi"
[23:09] <JoeSpanks> thanks ive seen that too. [23:10] <Raynerd> AbbyTheRat - I have an interesting outcome! [23:10] <phelix> If I need a couple different emulators could the controller work like a mouse? Where I could use the joystick to move the mouse and then click on the icon with one of the buttons to load another emulator ? [23:10] <Raynerd> I can`t select the connected cell! lol, exactly what I`m trying not to achieve! [23:11] <phelix> ok, any ideas on a good controller to use for the system? Can it be wireless bluetooth or does it have to be usb controller plugged into the usb port? [23:13] <phelix> thats what it seems that most people are using. [23:14] <phelix> So do you think the raspberry pi would be hte best solution for me if I just want a system that basically lets me play a bunch of different types of games from multiple different systems? [23:17] <linguini> It appears I'll need to reinstall (pi won't boot; corrupt inode probable cause). [23:17] <AbbyTheRat> changes are, it be limited to bandwidth but again, I'm not knowledable in this area..... I only JUST got the pi today! [23:18] <JoeSpanks> does anybody have experience making a pi IRC server? [23:19] <JoeSpanks> what are the options in th.at regard? [23:20] <JoeSpanks> oh you mean like unrealIRC vs IRCd vs HybridIRC etc? [23:22] <ectospasm> yeah, they don't have a Windows kernel or OS X kernel that will run on ARM yet, do they? [23:23] <JoeSpanks> a freeBSD OS for pi? [23:33] <AbbyTheRat> so what's the problem now? [23:36] <Raynerd> OK, just deleted that comment line and still an error. [23:38] <Raynerd> OK, I see that. [23:40] <Raynerd> that has been working OK... it was ALL working! [23:42] <Raynerd> The only thing that didn`t work was if you selected an invalid square, it took that as the "old selection"... so I just shifted that line and it killed everything! [23:42] <Raynerd> which was working fine! [23:47] <AbbyTheRat> see it too? [23:47] <AbbyTheRat> are you coding in notepad or something? [23:52] <shiftplusone> Raynerd, what did you break today? [23:57] <Raynerd> AbbyTheRat - you gone? [23:58] <Raynerd> :-) I have one new issue. [23:58] <Raynerd> On the very first selection, it takes the old position as 0.